Cerebral image - Embolization of frontal arteriovenous embolization using FasTRACKER-18 Infusion Catheter. 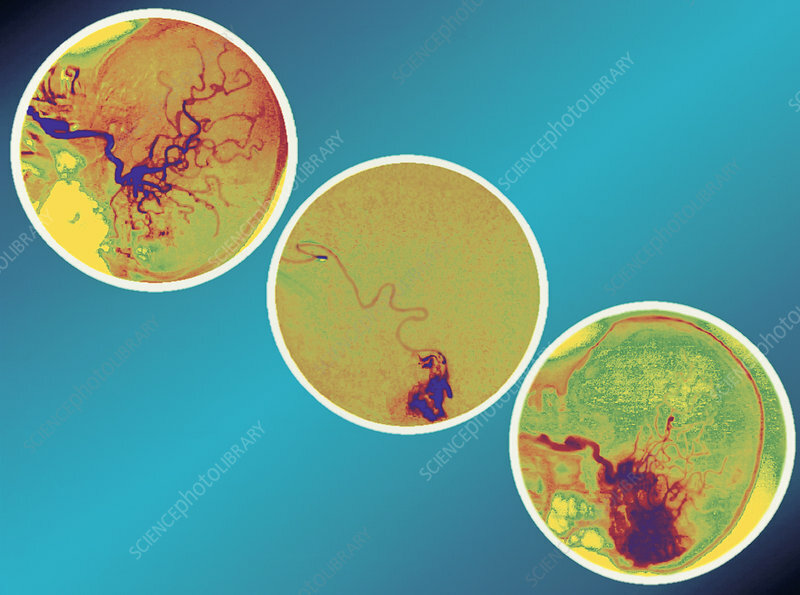 Cyan to blue diagonal background with pre-, mid-, and post- procedure view of embolization. Each circle is bordered in white. Anatomy of cranium is visualized in green, red, and blue. Instrumentation is clearly visible in central circular section. Note: successful proper correction of vascularization in lower right circular section visualized in blue and red.